Our Prelude faculty is comprised of nurturing young music professionals who perform regularly and have a passion for teaching young chamber musicians. B.M. New England Conservatory. Diplomas from NEC, Staatliche Hochschule fur Musik (Trossingen, Germany) and Dutch Royal Conservatory (The Hague). 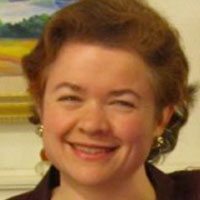 Julia Cash is an active freelance musician and teacher in the Boston Area. She has served as principal second and assistant concertmaster of Opera Boston, and she performs regularly with Boston Modern Orchestra Project, Boston Ballet, Pro Arte Chamber Orchestra, Chamber Orchestra of Boston and as concertmaster of Alea III new music ensemble. She is also an active chamber musician, performing in venues across New England. 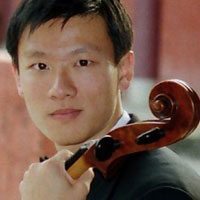 Other recent performances include guest concertmaster with the Orchestra of the European Union on tour in Boston Symphony Hall last year. Ms. Cash is also an avid teacher and music educator. Along with her private studio, she has taught at schools and festivals throughout the US. She is currently on the faculty at Nobles and Greenough School, Boston Latin School and the Boston Youth Symphony. 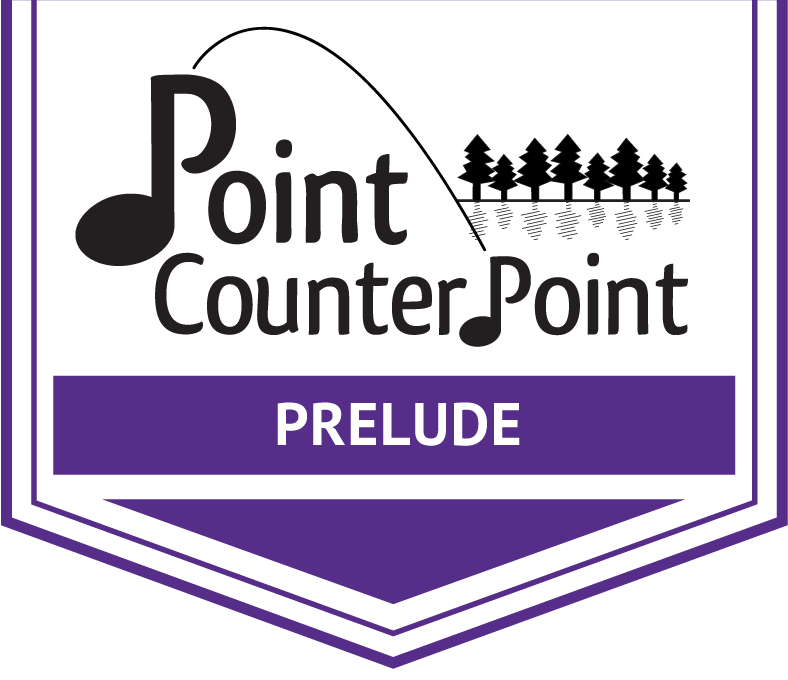 Ms. Cash has served as Music Director of the Prelude since its inception at Point CounterPoint in 2010. Ms. Cash’s primary teachers have been James Bushwell, Federico Agostini and Vera Beths. She has attended many world renowned , including Accademia Musicale Chicigiana, in Siena, Italy, the Conservatoire de Amercaines in Fontainbleau, France, Kneisal Hall, the Britt Festival and Musicordia. As a fellow at Tanglewood Music Festival, she received The National Music Clubs Award for outstanding performers. BM and MM, New England Conservatory, Postgraduate Diploma, Guildhall School of Music and Drama, London. Over the past decade, violinist Paola Caballero has attended festivals all over North America including the Tanglewood Young Artists Program, Santa Barbara Music Academy of the West, and led the festival orchestra at the Banff Centre for the Arts under the baton of Krzysztof Penderecki. In Europe she has also led various opera festival orchestras both in Montepulciano and Orvieto, Italy. Upon completion of her studies in Boston and after returning to Canada for some time, Paola relocated to the United Kingdom to attend the Guildhall School of Music and Drama. During her studies in London, Ms. Caballero founded the Esperanto Trio, giving their first public performance at St. James Church in Piccadilly, London. Later, the group was asked to perform in a live B.B.C. broadcast at the Barbican Centre as part of the New Music Festival hosted by the B.B.C. Symphony. During this same period, Ms. Caballero also freelanced with the Aurora String Orchestra, amongst other such prolific ensembles based in London including the London Symphony. Since her time in the U.K., Ms.Caballero has now chosen to return to Spain to continue her professional career here in Barcelona. She has been leader of the Chamber Orchestra of Barcelona, performs regularly with the Orquesta Sinfonica de Barcelona y Nacional de Catalunya. As well other ongoing chamber music activities include include collaborations with the Barcelona-based contemporary group BCN 216, NeoArs Sonora and recently founded the Bcn Arts Quartet. Paola Caballero holds a Postgraduate Diploma from the Guildhall School of Music and Drama as well as both Masters and Bachelor degrees from the New England Conservatory. She has studied with Jack Glickmann, David Takeno, Masuko Ushioda, and Eric Rosenblith. Ms. Caballero had also studied with Lorand Fenyves and Erika Raum at the Royal Conservatory, the institution that sponsored the use of a 1686 Nicolo Amati instrument. Ms. Caballero is currently performing on a Bergonzi, 1792, from the generosity of the Maggini-Stiftung Foundation. Tina Lee Hadari, violin, of New Haven, CT, is a founding member of the Vinca Quartet, recently hailed by the NY Times as “stunning…musicians worth keeping an eye on.” As a soloist and chamber musician she has performed in halls worldwide, including Merkin and Weill Halls in New York, Suntory Hall in Tokyo, and the Vienna Konzerthaus. Tina began studying violin in the public schools in Indiana at the age of nine. She received her B.M. and B.S. at the New England Conservatory and Tufts University, and upon graduation, she was awarded the Huntington Beebe Fellowship to study in Vienna, Austria. She earned her M.M at the Yale School of Music and earned her PhD at the University of Colorado. John is a pianist and composer based in Boston, MA. He has performed and had his music performed in and around Boston, New York, Chicago, Michigan, Pennsylvania, and throughout New England. 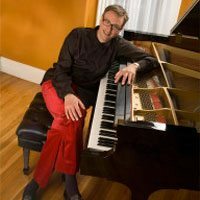 John has worked extensively as a collaborative pianist, has conducted choirs and taught mostly in the Boston area, but also in southeast Michigan. He has written music for the piano, organ, choir, and orchestra, and has several chamber music pieces in his portfolio. He recently had his song “Variations on the Word Sleep” premiered in NYC, and his composition for chorus and orchestra, “The Poet’s Calendar,” was be performed in Arlington, MA in January, 2014. He has been the recipient of many commissions, including one by the great organist Marilyn Mason. This commission, a Chorale Partita on Greensleeves, was published by Morningstar Press in June 2006. In 2008 he received the Vincent Brown Silliman prize for his choral setting of the e. e. cummings poem “i thank You God.” His CD of original solo piano music “Orange Earth/Blue Ether” is available from CD Baby. 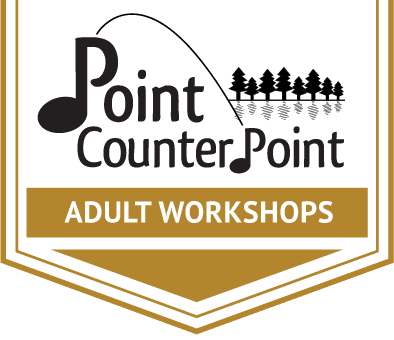 He is the Music Director at the Winchester Unitarian Society and teaches at the Winchester Community Music School and at his home studio. He graduated from the University of Iowa in 1998 with a Master’s degree in music composition and a Master of Fine Arts degree in piano performance. Colleen has an active and varied freelance career on both modern and baroque cello as well as viola da gamba in the Greater Boston area. She is also a dedicated and enthusiastic teacher of cello students as young as 4 and up to the young at heart age of 95! 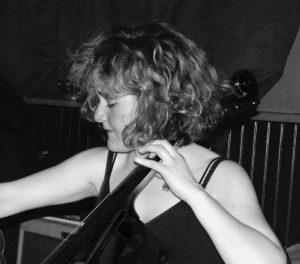 Colleen began her cello studies at the age of 5 in St. Catherines, Ontario Canada. She was fortunate to have been born into a musical family. Both parents are professional musicians and educators. Colleen attended classes at the Eastman Preparatory Department and went on to receive her Bachelor of Music Degree from the Cleveland Institute of Music where her primary cello instructor was the acclaimed pedagogue, Alan Harris. After graduation, Colleen continued studies with Alan Harris and Richard Aaron while teaching in the Preparatory Department of CIM. She received her Master of Music from Boston University where her primary instructors were Andres Diaz on modern cello and Alice Robbins on baroque cello and viola da gamba. Other influential instructors were Jane Hershey, Phoebe Carrai, Timothy Eddy, John Hsu and Suzanne Wijsman. B.A. Columbia University, M.M. Juilliard, D.M.A. New England Conservatory (NEC). Cello studies with Laurence Lesser, Aldo Parisot, Eleanore Schoenfeld. Chamber music collaborations with Borromeo String Quartet, Lucy Chapman, Yehudi Wyner, James Dunham, Marcus Thompson, James Buswell, Lois Shapiro. Performed at Tanglewood, Sarasota, Musicorda, Santa Fe, La Jolla Music Festivals. Visiting lecturer and cello teacher at Fu-Jen Catholic University, Taipei, Taiwan. Faculty at NEC Preparatory School, Music on the Hill Belmont,MA. This is Sam’s sixth year on Prelude faculty. Rebecca Thornblade is a grand prize winner of the Fischoff National Chamber Music Competition and the Chamber Music Yellow Springs Competition. 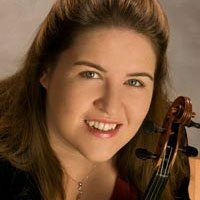 She has played with many ensembles throughout the country which include the award-winning Fry Street and Avalon quartets and as principal cellist of the New World Symphony in Miami and the Civic Orchestra of Chicago. Rebecca has participated in the Aspen Music Festival Advanced Quartet Studies Program, Chamber Music Encounters in Jerusalem with Isaac Stern, the Colorado Music Festival, the Spoleto Festival U.S.A., the Norfolk Chamber Music Festival, the Tanglewood Fellowship Program, the Sarasota Chamber Music Festival among others. Rebecca is currently a member of the Rhode Island Philharmonic Orchestra and has performed with Opera Boston, the Boston Modern Orchestra Project and Cantata Singers. She has appeared as a chamber musician with Lyrica Boston, Lyrica Chamber Music in New Jersey, the Suzuki School of Newton’s Artist Concert Series, the New Gallery Concert Series, The Radius Ensemble and The Firebird Ensemble. In addition to her private teaching studio, she is on the chamber music faculty of the New England Conservatory Preparatory Division and an adjunct professor of cello at Wellesley College. Rebecca is a founding member of the electric cello band, The Cello Chix. BM Oberlin Conservatory, MM The Juilliard School. 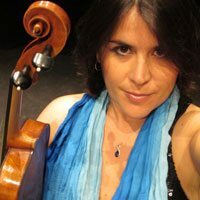 Guiomar Turgeon received her Bachelor and Master of Music degrees from Boston University, and performs regularly with many Boston ensembles. She holds a tenured position with Boston Baroque and the Handel & Haydn Society and has toured Europe with both groups. Ms. Turgeon is a third generation musician who began her career at the age of three. She has worked in orchestras under the batons of Leonard Bernstein, Christopher Hogwood, Seiji Ozawa and John Williams, and performed at Tanglewood, the Library of Congress in Washington, DC, the Mozarteum in Salzburg, and for Pope John Paul II. She currently coaches chamber music for the Harvard University Chamber Music Society at Mather House and is the artist-in-residence at Hill Crest Academy in Norton, MA.